The Roemer Release was developed to meet the many demanding functions required for successful fishing with downriggers and outriggers. After more than 29 years on the market, the outstanding features of the Roemer Release most often commented on are its simplicity, dependability, and stacking ability. Today, the Roemer Release has been widely accepted from coast to coast and internationally! Any number of Roemer Releases can be used on a single cable! 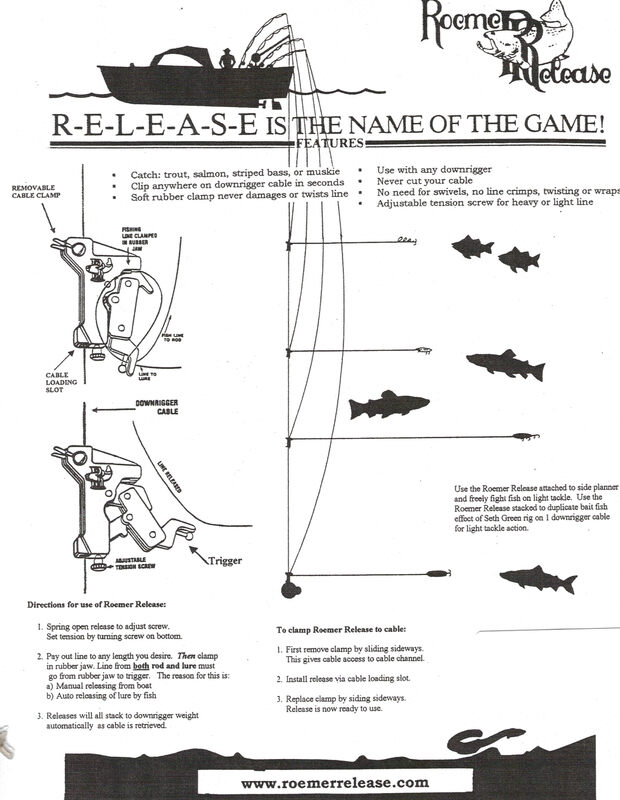 Roemer releases were used by a cousin of mine on his charter boat. After using them countless times I'm hooked (pun intended) on the Roemer releases. 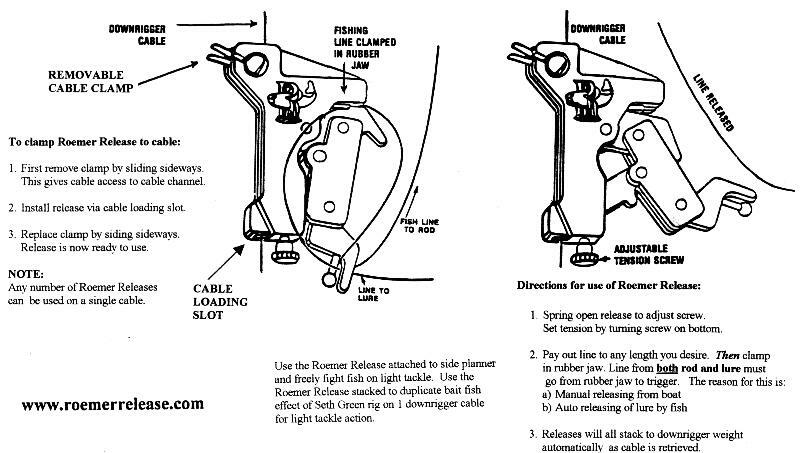 Now I'm going to teach my son how to rig his downriggers using them. The releases I bought are for him. Ordering the releases was easy to do and arrived on time.